I bought this CD at the beginning of the month and have hardly stopped listening to it! Issued back in 2010 by Topic Records (TSCD573), Looking Glass was the debut album from Fay Hield, comprising 11 tracks, nine of which are traditional plus one each from Jon Boden (Mad Family) and another (The Looking Glass) which uses text by the poet Rudyard Kipling set to music by the late Peter Bellamy. This was one of those wonderful occasions when you just decide, by instinct, to take a punt on something and it turns out right! Topic Records is marking its 75th anniversary as purveyors of fine music by offering half a dozen items each month from their back catalogue for just a fiver an item. Since stuff on the label is discounted very seldom, this is proving a great opportunity for me to pick up a whole bunch of things I never quite got round to buying when they first came out! I was not familiar with Ms Hield before this month. I knew her name as one of the key people involved in the admirable Full English project developed by the English Folk Dance and Song Society see (http://www.efdss.org/efdss-the-full-english ) but hadn’t actually heard her. My mistake. She’s a fine singer who may become a very significant figure in years to come. As someone who believes that one of the finest pieces of recorded music ever, anywhere, was the late Sandy Denny’s version of Banks of the Nile, I was prepared to be underwhelmed by Fay Hield’s take and was pleasantly surprised by a very different but very accomplished version. The track I’ve played most though is the opener (The Huntsman) which is nearly six minutes of wonderfulness, up there with the best of June Tabor and Anne Briggs (two of my favourite hard-core traditional singers) with Ms Hield’s crystal-clear voice accompanied only by the twin fiddles of Sam Sweeney and Jon Boden (who also adds some sympathetic and understated percussion). Overall, the instrumentation is sparse but sympathetic – heavy on fiddle with concertina, nyckelharpa (had to look up exactly what one was! ), viola and, on the final track, King Henry, clogs (by Hannah James)(and utterly in keeping with the collection). There’s only one (Kemp Owen) which has a guitar accompaniment but it’s already one of my favourites. 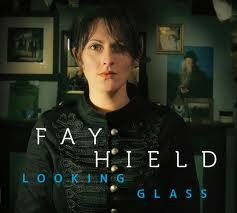 An added bonus of the collection is that Fay Hield doesn’t simply sing the songs – she sort of curates them too. The package includes a lyric sheet (one of the benefits of buying the CD not just the download) but, as her website explains: “Following a degree in Folk and Traditional Music at the University of Newcastle, Fay read for a PhD entitled ‘English Folk Singing and the Construction of Community’ at the National Centre for English Cultural Tradition. Fay is currently engaged in two AHRC funded research projects, working as a Consultant on Musical Communities and as Research Assistant for Transmitting Musical Heritage”. So perhaps that’s Doctor Hield to you matey! I’m not sympathetic to the sort of folkies who seem to want to preserve songs in aspic, in the form they were first collected in the late 19th century and early 20th, but I do respect the fact that folk music can be studied in a scholarly way – as music, as text and as social history. It’s worth reporting that Fay Hield performs the songs as live things rather than giving a recital of historical artefacts. Another reason I like this album is that the songs are less than familiar and I am enjoying getting to know them and finding echoes of stuff I DO know. As I’ve written, Banks of the Nile may have familiar lyrics but the tune was new to me. Similarly, Grey Goose and Gander was a wonderful blend of familiar tune and lyrics which were new. The real revelation for me was spotting the common root that joins The Shepherd’s Daughter (trad.) with The Ballad of Penny Evans (recorded by the US singer Steve Goodman and, a generation later, by Michelle Shocked). This may be old news for some readers – but I am neither a musician nor a folk music scholar so what I appreciate is the utter resilience of the music! OK, I may have arrived at this collection a bit late – but I’m glad I got there! If you want to recommend anything to me, please do! 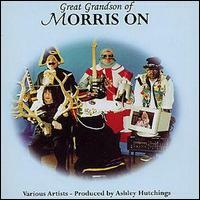 It’s hard to deny that Morris On was a truly pioneering album and that ‘Son’ and ‘Grandson’ have been subject to the law of diminishing returns. Nevertheless, with morris music enjoying a higher profile than for 30-odd years nobody should begrudge Mr Hutchings for returning to the genre. For heaven’s sake, if it wasn’t for what he and John Kirkpatrick in the seventies did to drag an ossifying tradition into the 20th century (see entry for 28 May 2013), the current revival wouldn’t have happened. Grandson has a cast of stalwart figures, several like Simon Care and Fairport Convention’s Chris Leslie are wholly steeped in Morris music whilst others like Phil Beer, John Spiers and Jon Boden (the later two shortly afterwards to find success in Bellowhead) are simply damn good musicians. Also featured are long-time Hutchings collaborators Ken Nicol and Guy Fletcher. Anyway, some might find the music a bit pedestrian – but this isn’t grandstanding music, it’s there to accompany dancing – and it’s about the whole ensemble – not virtuoso playing. And it’s a nice record which I’m never unhappy to hear. Almost all the tunes are from the ever reliable Trad. Arr. but my particular favourite is ‘Little Johnny England‘. This is described as ‘a playground song at Moulton Primary School, Northants’ which is about four miles from where I live and which is/was the ancestral seat of Mr Care who cut his teeth playing for the Moulton Morris Men. It is probably an uncomfortable reminder of my own age to say that my wife used to work with Mr Care’s mum for a while in the 1990s! This title (LJE) also gave its name to a rather good band,(including Mr Fletcher last time I heard them live) whose recordings I will feature in a future post.